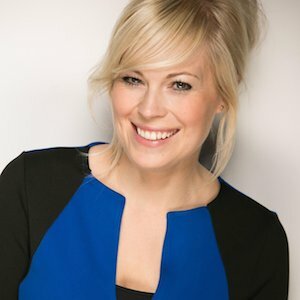 US Pastor Scott Lively has told Christian singer Vicky Beeching that she has “given in to a lie” by coming out as gay. The Christian singer-songwriter came out as gay this week, saying: “God loves me just the way I am”. Channel 4 News invited Scott Lively – who is known for his extreme anti-gay views, and supporting Uganda’s Anti-Homosexuality Bill – to talk with Beeching following her decision. Speaking with the singer, he said: “I have a lot of sympathy towards Vicky herself, my sister was a lesbian, and in fact I was the person that she came out to as a teenager, and I was the person that she turned to later when lesbianism had almost destroyed her. “She became a Christian and overcame lesbianism, and so I have a lot of sympathy for people who struggle with the challenge that Vicky is facing, and I am very sorry to here that she has given in to the lie that she is a homosexual, instead of trying to overcome the challenge that is in her life. “It’s a false premise. There’s no such thing as a gay person. It’s an identity you adopt. Ms Beeching retorted: “That is pretty much what I’ve been raised to believe, and I think psychologically that’s actually very damaging for people because it makes you feel like you’re fighting against yourself. “I feel like many conservative Christians, maybe Scott too, would agree that it’s actually a kind of demonic thing… that I’m being controlled by the devil.